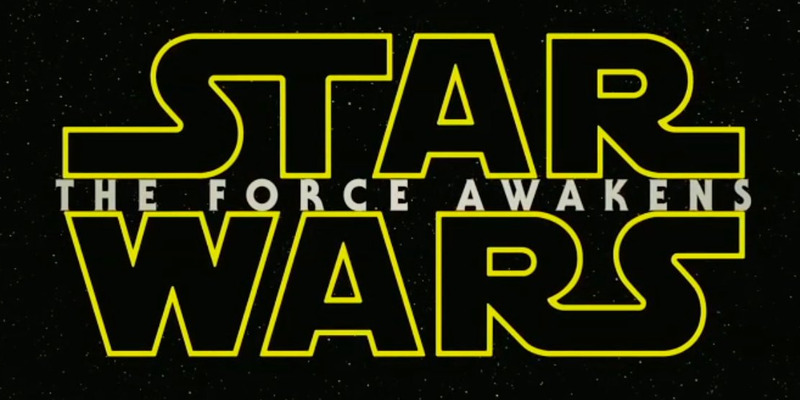 The new “Star Wars” trailer is here! For the uninitiated, let’s catch up. Got all that? Now let’s break down “The Force Awakens” trailer. Then this guy pops up from the bottom of the frame. Who is he? We don’t know! He’s a new character, and his name hasn’t been revealed yet. He’s played by an actor named John Boyega. 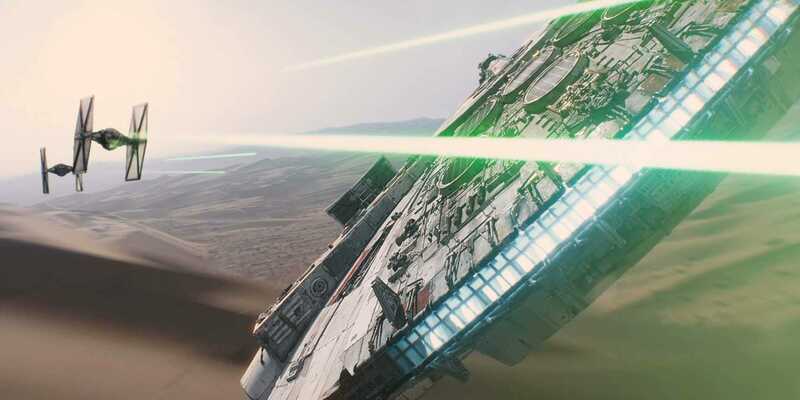 Most speculate Boyega’s character will be the new hero of the next three Star Wars films. This will probably be a coming of age tale about how Boyega’s character learns to be a Jedi, just like Luke Skywalker learned in the original trilogy. What’s that outfit he’s wearing? It’s a storm trooper uniform. 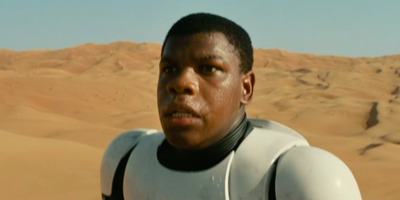 Boyega looks around. He’s nervous, sweaty, and panicked. 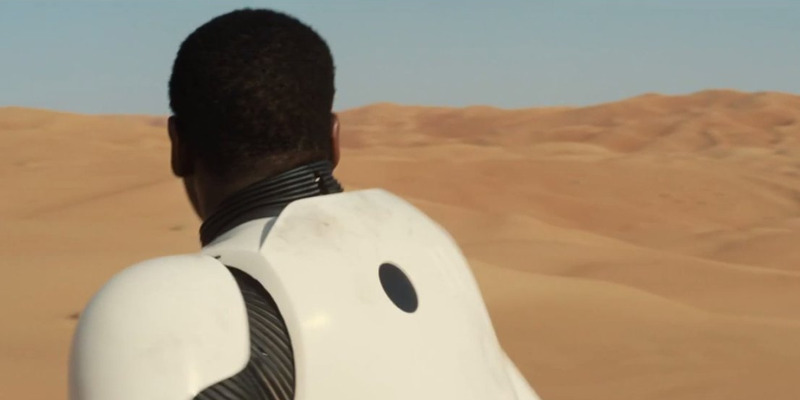 If we had to speculate, we’d say Boyega somehow got tangled up with the bad guys and managed to escape to Tatooine. 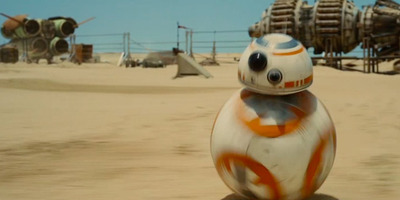 The trailer then cuts to a shot of this cute little droid. He’s probably not very important to the plot, but it does show director JJ Abrams will include the whimsical background characters that made the original trilogy so delightful. Then things get dark. 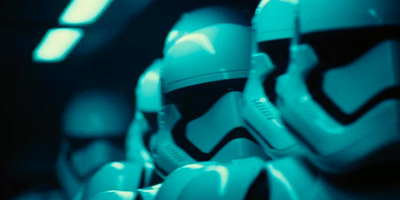 The stormtroopers are back! We see them in the cargo hold of a ship. 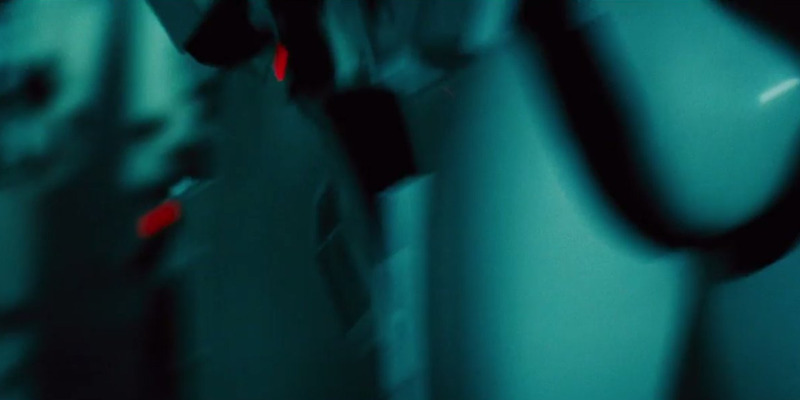 The camera is shaky and dramatic as they charge their blaster rifles. It seems like even though Luke Skywalker and crew defeated the Empire in “Return of the Jedi,” some loyal factions remain all these years later. Here’s a look at the stormtrooper blaster rifle. Next, we get a shot of this woman. Who is she? Again, we have no idea! But she’s played by Daisy Ridley. 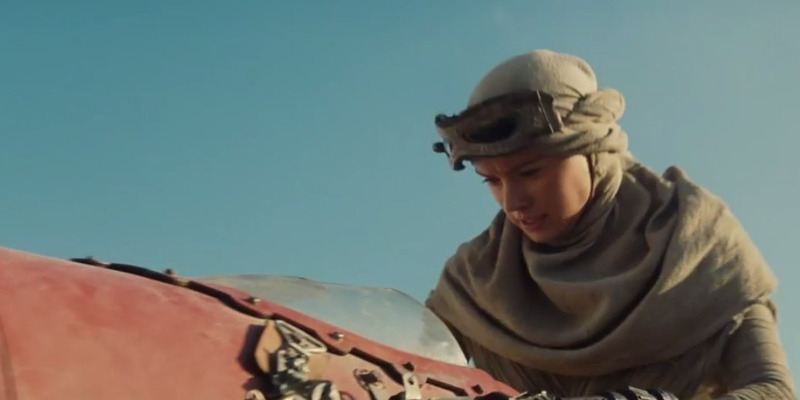 There’s a good chance she’s the other lead of the film along with Boyega. 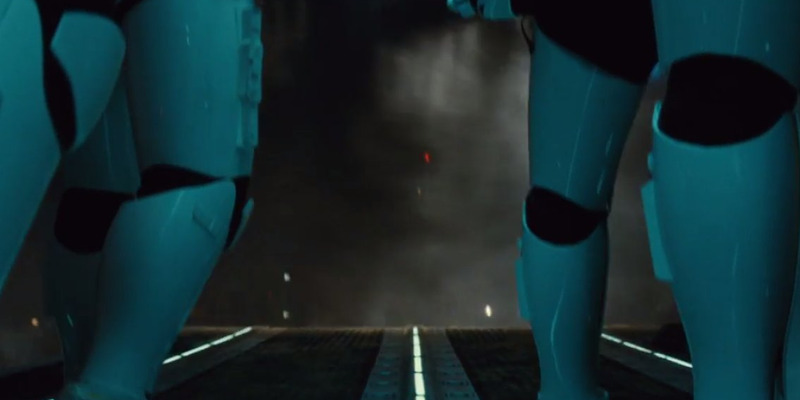 If we had to guess, the Ridley and Boyega characters will probably be each other’s love interests. Star Wars movies like to put two characters into impossible situations and watch them fall in love. 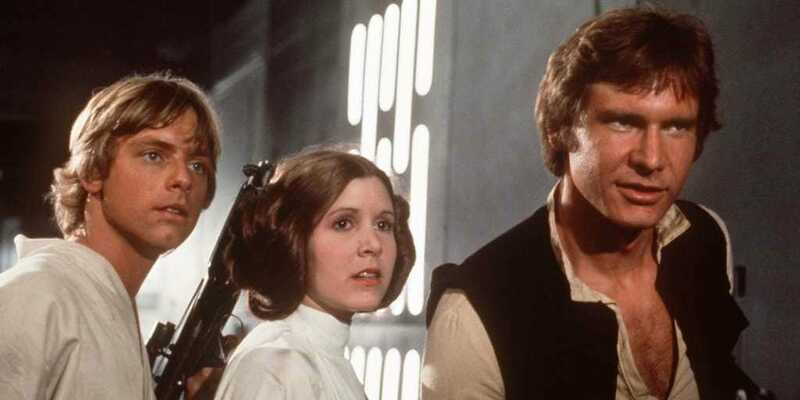 Think back to how Han Solo and Leia got together in the original trilogy. Ridley rides away on this hovercraft thing. She’s also on Tatooine, so this is probably when her character will meet Boyega’s character. 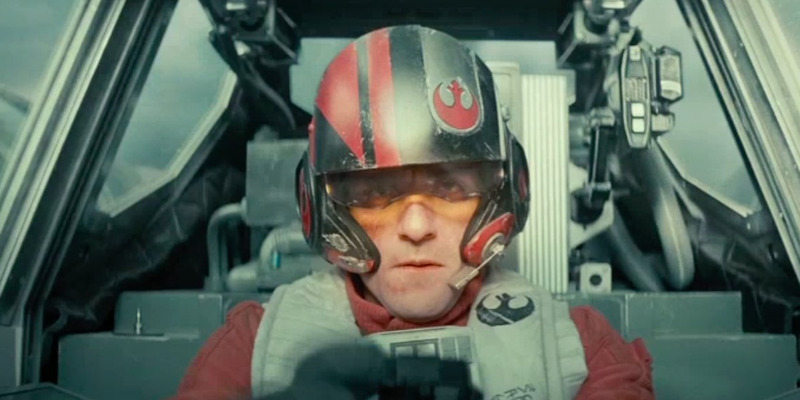 Next, the trailer cuts to this X-Wing pilot. See that symbol on his helmet? 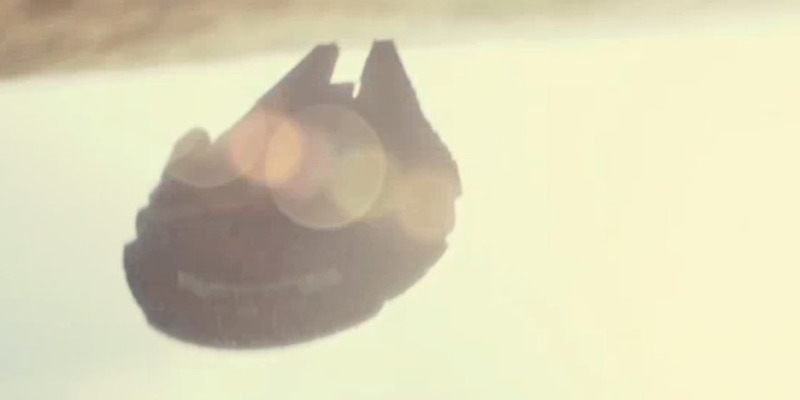 It’s the Rebel Insignia, the symbol all the good guys wore in the original trilogy when they were fighting the Empire. We’re not sure who this character is, but it’s clear he’s a good dude. Holy smokes! Look at those X-Wings fly over the water! 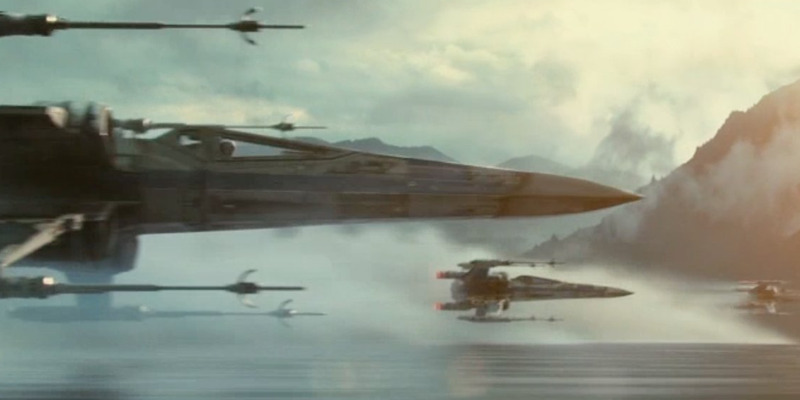 We’ve never seen this planet in a Star Wars movie before, but it looks like it’s the stage for a big aerial battle. On the other hand, it could be the moon of Yavin, where the Rebels blew up the first Death Star in the first Star Wars movie. Now things get crazy. 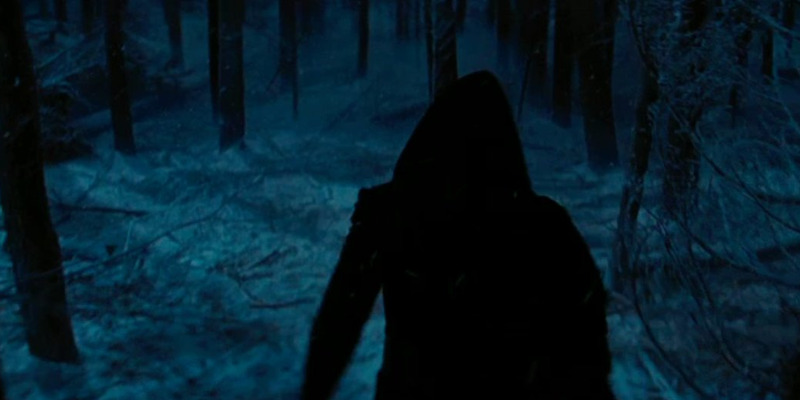 We see this dark cloaked figure slinking through a snowy forest. 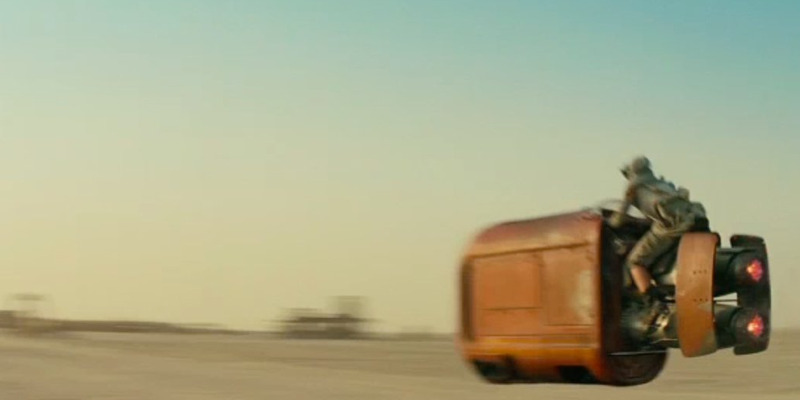 This may be the same planet the stormtroopers landed on earlier in the trailer. The voiceover comes back and says, “The dark side…” Who is he? You guessed it. We have no idea. 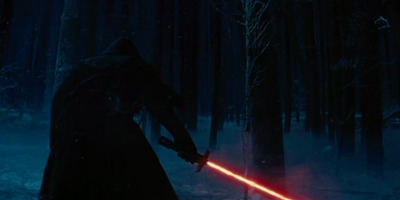 He has a red lightsaber! That means he’s definitely a bad guy. In Star Wars, the Sith, the followers of the Dark Side of the Force, only use red lightsabers. Most think actor Adam Driver is playing the villain in the movie, so this is probably him. 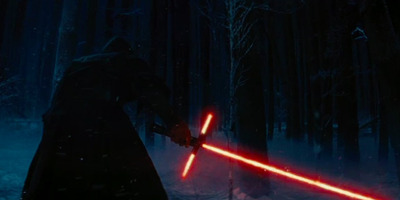 A beat after the main part of the lightsaber ignites, the two side of the hilt do too. It looks like a medieval sword. The voiceover finishes: “…and the light.” The screen goes black for a beat and then we’re back on Tatooine with the Millennium Falcon flying through the air doing some crazy maneuvers. The Millennium Falcon is Han Solo’s ship from the original trilogy. 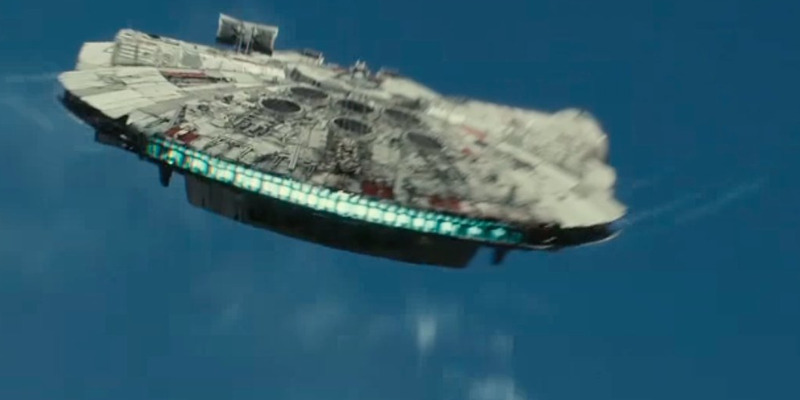 Ford is already confirmed to be in the new movie, so it’s safe to say he’s the guy flying the ship. Now for some wild speculation: It’s possible Han Solo was already on Tatooine at the same time as Boyega and Ridley’s characters. Maybe they convince him to help them escape. It’d be very similar to the way Han Solo helped Luke Skywalker escape the Empire on Tatooine in the first movie. A nice balance! In the new trailer, the creepy voiceover guy alludes to a resurgence in the Force, meaning a lot of new potential Jedi and Sith are starting to show up across the galaxy. Boyega’s character is likely one of the new Jedi. 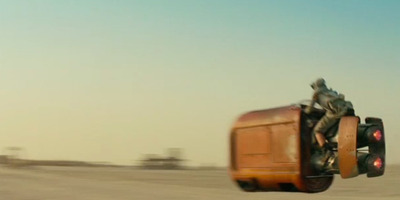 Driver’s character is likely one of the new Sith. A lot. Remember, Hamill, Fisher, and Ford are all coming back to reprise their original roles. 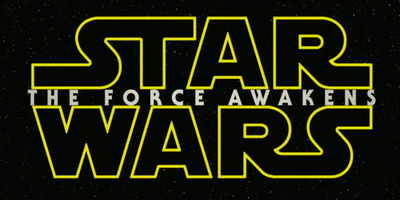 Many have speculated that Hamill’s character, Luke Skywalker, will return to teach the new generation of Jedi. 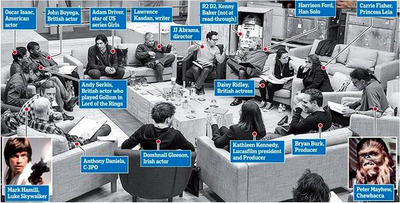 Expect him to play the same kind of wise old master that Obi Wan Kenobi was in the very first Star Wars movie.